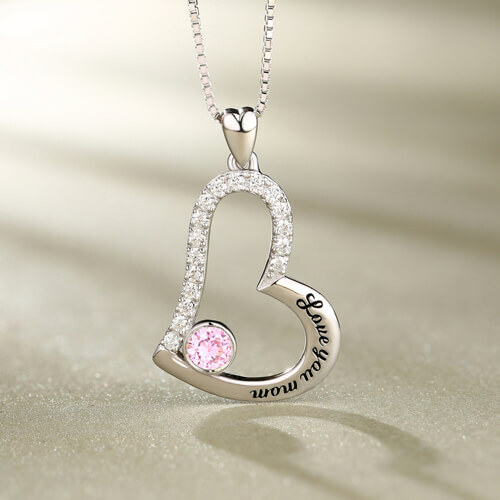 An elegant and heartfelt way to say "I Love You Mom." Your mom is always there to encourage, guide and comfort you. Her love is a precious gift you carry with you wherever you go. 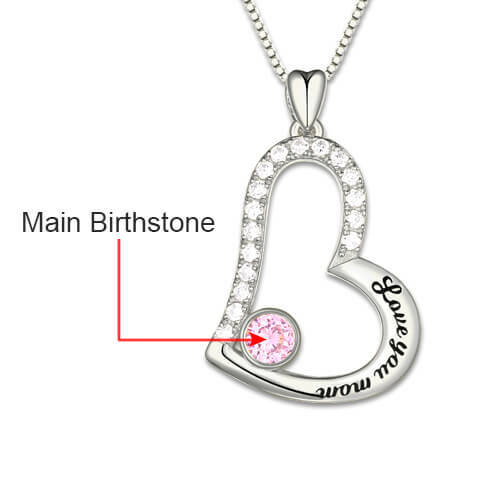 Here is a lovely gift for your Mother. 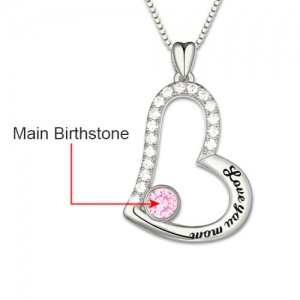 The heart design signifies your love for your MOM and the birthstone can commemorate your birth date or hers.The engraved " Love You Mom" 925 sterling silver pendant sparkles with a glittering diamond , symbolizing your love today, tomorrow and always! 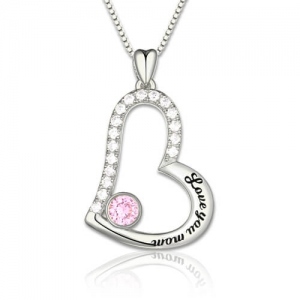 Now, give Mom an enduring reminder of your love with this diamond pendant necklace!